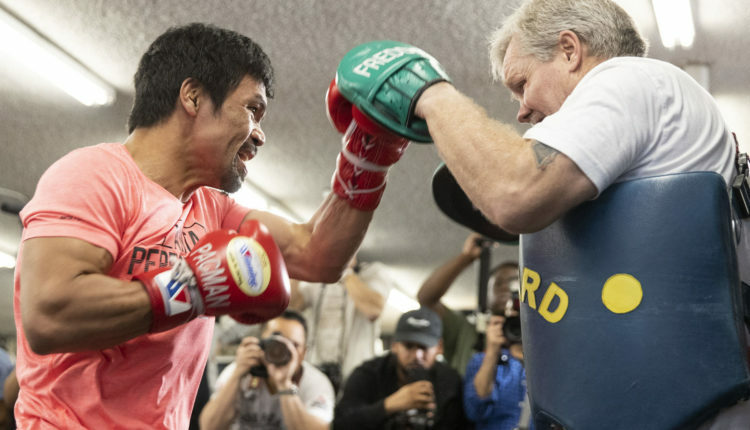 On Monday, Manny Pacquiao and Floyd Mayweather would run into each other for the second time since October, as Pacquiao prepares to face Adrien Broner on January 19th. With speculation rampant that a fight with Mayweather would be waiting for whoever walked out of the MGM Grand Garden Arena as the WBA “regular” welterweight champion, Pacquiao welcomed the idea of facing the undefeated boxer in a rematch of their record setting 2015 fight. “Right now, I’m not thinking about my next fight,” said Pacquiao, who knocked out Lucas Matthysse to win the WBA title in July.